Tumbling is the art of performing acrobatic stunts on a mat or the ground. We offer a 3600 square foot facility equipped with rod floor, spring floor, and floor mat. This acrobatic sporting discipline combines some of the skills of artistic gymnastics on the floor as well as those of trampoline. 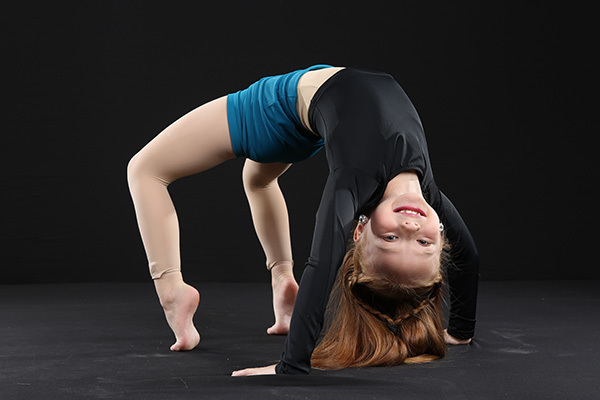 We offer all levels of Power Tumbling and we are a member club of USA Gymnastics. Company Team Only – Combines the skills of tumbling with jazz dance and ballet technique. Come in to sign up! Fill out necessary forms in our office or complete them online here and fill them out ahead of time. Pricing information available here.